The famous American multinational corporation with a focus on designing and manufacturing consumer electronics and software products, Apple has announced its new iTunes 8 media player software, which incorporates the new breakthrough Genius feature, allowing users to automatically create playlists from songs in their own music library that go great together with only one click. In addition, the new iTunes 8 application has a new visual browsing interface which displays your music and video libraries using your album and video covers, providing a new way to navigate your movies, TV shows, iPhone apps, podcasts as well as audiobooks. 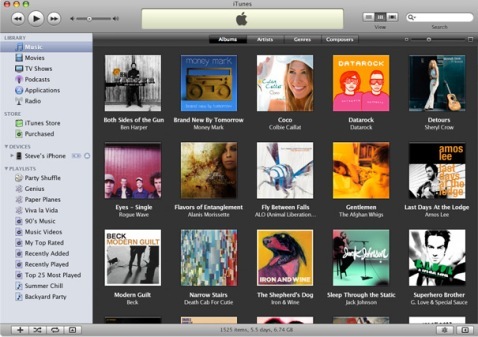 The iTunes 8 application for Mac and Windows is now available as a free download from Apple’s official site.